Whether it is a simple landscaping project or a more complex home construction project, the use of earth, dirt and concrete to create liveable, functional spaces is a common occurrence in our modern lives. Since the beginning of civilization, humans have sought to cultivate the land around them and shape it in order to provide more sustainable and functional pieces of property for agriculture, city planning and aesthetic appeal. In the past, contractors and construction crews had to use complex maths and formulas in order to determine the best way in which to build a retaining wall or create a foundation for a structure. These days, however, technology has provided us with many tools that can make this process much easier. In the following article, we will discuss three of these mobile applications that are available for Android devices and how each one can assist you in your projects. If you need to move soil or earth in order to construct a retaining wall or similar structure, then it helps to know how much will need to be moved – after all, that dirt will either need to be carried off-site or placed somewhere else. If you are not a math whiz or a civil engineer, then you probably need a bit of assistance in determining this. The Soil and Earthwork Calculator is a great way to calculate how much dirt you will have to move and provides several variables to calculate the exact weight of the mass. Whether you have to deal with dry or wet soil, there are custom features available in this calculator that will make the final calculations easy to understand and accurate. Available for $3 on Google Play, the Soil and Earthwork Calculator is a perfect solution when in the midst of construction. How much in terms of materials will you need to build that perfect retaining wall? It used to be a difficult question to answer, but the Retaining Walls Calculator app for Android has simplified the process. 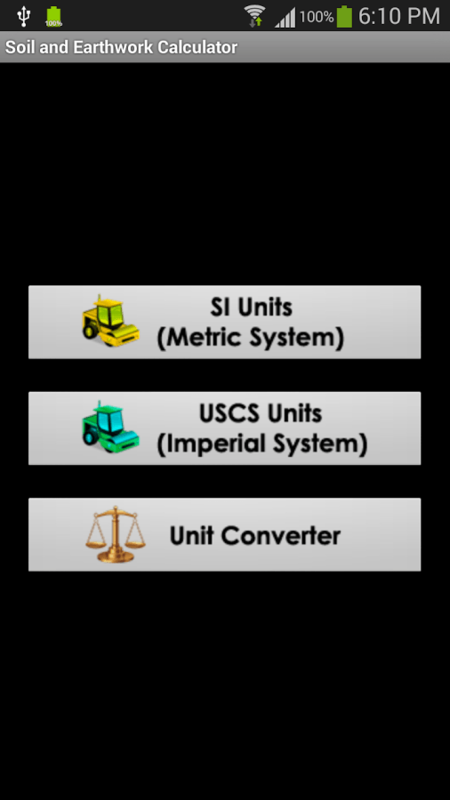 Users will be able to enter a variety of metrics such as length, width and type of material in order to determine the overall amount needed. You can even get a cost estimate of the project if you know the cost of materials by cubic or square metre. Available on Google Play, the Retaining Walls Calculator app is available for $2 and will help you save time and materials when you begin construction on your new retaining wall. A graphic app with tools for the calculation of retaining wall costs and materials, the Block Head app for Android is an excellent solution for home owners and contractors alike. Users of the app will be able to enter in the length, width and height of their projects in order to see estimates, or can draw these walls on top of an existing image of the landscape in order to see what the project will entail and how much material will be needed to complete it. These estimates are vital for a proper construction project, and the Block Head app can be yours via Google Play for $0.99. How Will Net Neutrality Affect Your Tech Devices?